Hungary is an ancient nation, so there have been many Hungarian flags over the years. There have been plenty of small changes to the flag during that time, but the general design has remained remarkably consistent since the medieval period. 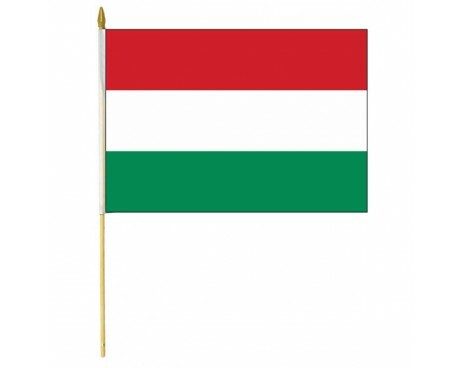 The flag of Hungary is a horizontal tricolour of red, white and green. 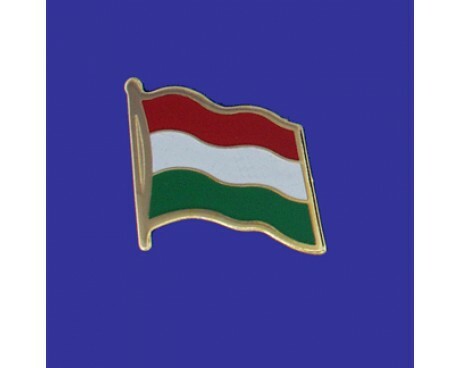 In this exact form, it has been the official flag of Hungary since October 1, 1957. The flag's form originates from national republican movements of the 18th–19th century, while its colours are from the Middle Ages. The oldest flag of Hungary was that of the Arpad dynasty that founded the nation. It was a simple flag of alternating red and white stripes that remained in use for over a century. The flag changed to include a cross rising out of a green hill when Stephen I was crowned king of Hungary and converted the nation to Christianity. His flag established the red, white, and green that would characterize all future Hungarian flags with the exception of the Angevin flag that was in use from 1301-1382. 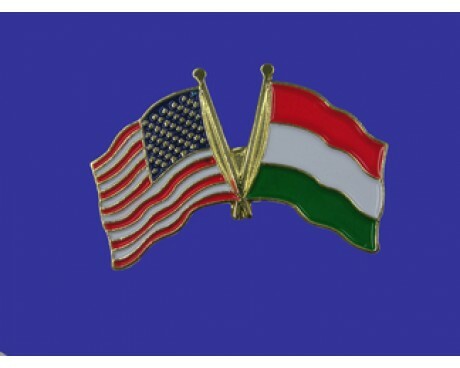 The modern Hungary flag has its roots in the country's union with Austria, when it was represented by the modern flag emblazoned with Hungary's medieval coat of arms, a pattern that became popular with the Hungarian nationalist movement that developed in the middle of the 19th century. That form of the Hungary flag fell out of use after the end of the first world war when the nation of Austria-Hungary broke apart. The nation's new government simplified the flag by removing most of the supporting details from the coat of arms, but otherwise retained the pattern. A communist government briefly held power in Hungary and replaced the flag with a solid red design, but the country returned to the traditional red, white, and green pattern with the coat of arms shortly after. The flag changed several more times over the course of the early 20th century, but it always kept the pattern of three stripes and a central emblem until the modern form was adopted in 1957. The modern flag of Hungary has the traditional three horizontal stripes of red, white, and green, but it does not display the coat of arms or any other central symbol.